Promote posts on your Facebook page automatically based on their organic performance. Revealbot Auto-Boosting for Facebook posts is a tool helping you maximize reach and engagement of best performing Facebook page posts. Revealbot tracks organic performance of regular Facebook posts and, once a post meets your custom conditions for auto-promotion, it creates an ad set based on the post. 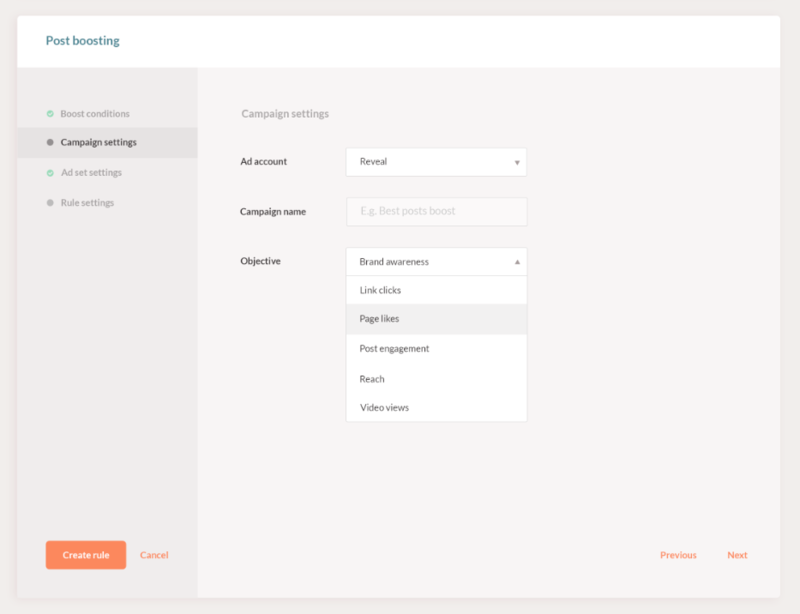 Auto-Boosting gives you the full power of Facebook Ads (vs limited capabilities of the native Boost tool): you can benefit from all the capabilities of a full-fledged ad campaign, including configurable objectives, optimization events, and a full range of targeting options. With Revealbot, you can create as many auto-boosting rules as you like. 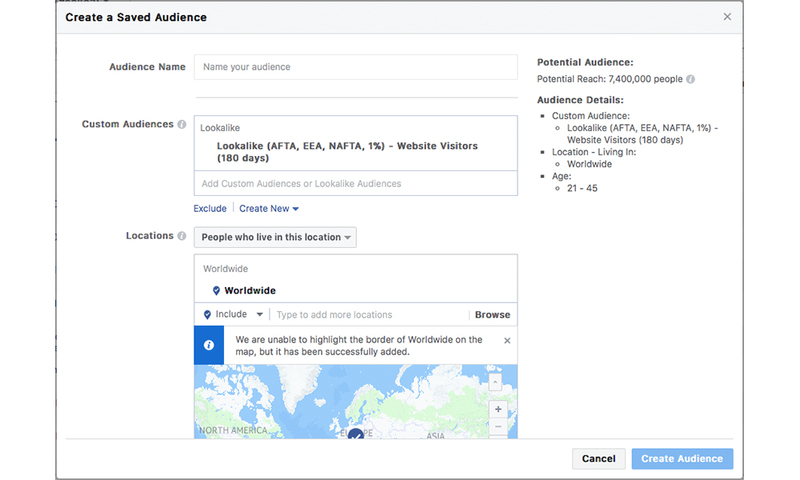 Each auto-boosting rule will create a brand new ad campaign in your Facebook account and store all boosted posts as new ad sets in the rule’s ad campaign. Post Boosting — automatic post-boosting rules, i.e. rules affecting Facebook page posts and creating ad sets for promoting them. Automation — regular automated rules that you're used to with Revealbot, i.e. 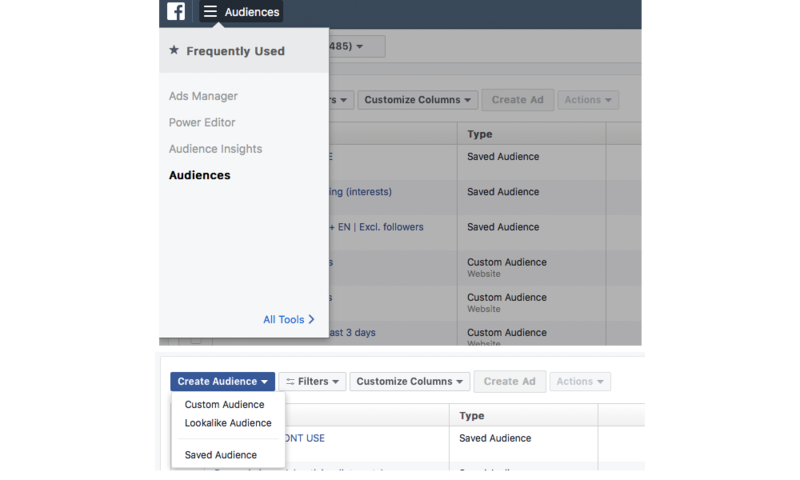 rules affecting ad campaigns, ad sets and ads which you have created in Ad Manager / Power Editor. Select types of posts to boost; they can be published or scheduled. Set how many promoted posts you want to run simultaneously. If at any given time more posts qualify to be auto-boosted than the number you set here, Revealbot will prioritize posts with the latest publish date. 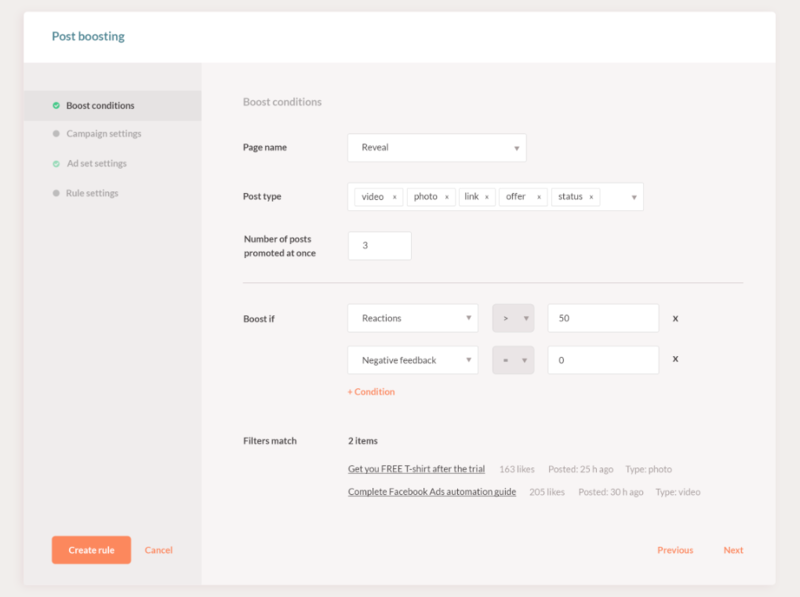 With at least one condition selected, the Filters match section will give you a preview of posts currently qualifying for auto-boosting. Each new boosted post will be stored as a new ad set within one ad campaign, which you can create a title for here. Assign a total or daily budget for each boosted post and determine how long you want it promoted for. The promotion will end once the total budget is fully spent (if it’s set) or once the boosting period ends, whichever comes first. Once you’re done setting up a new saved audience in Facebook, go back to the tab with Revealbot Auto-Boosting and reopen the Audience dropdown menu to load the newly saved audience. Select an optimization goal just as you would creating a regular ad: Brand awareness, Impression, Link clicks, Page engagement, Page likes, Post engagement, Daily unique reach, or Video views (works only when campaign objective is Video Views as well). Select a billing event: Impressions, Link Click (CPC), Page like, Post engagement, or 10-Second Video View (that last one only works with the Video Views campaign objective and optimization goal). You can set up automatic email or Slack notifications to let you know as soon as a post is auto-boosted. Don't see Post-Boosting in your Revealbot account? This is beta launch, and we're planning to release it to all our users in the coming weeks. If you want access now, email us at support@revealbot.com.